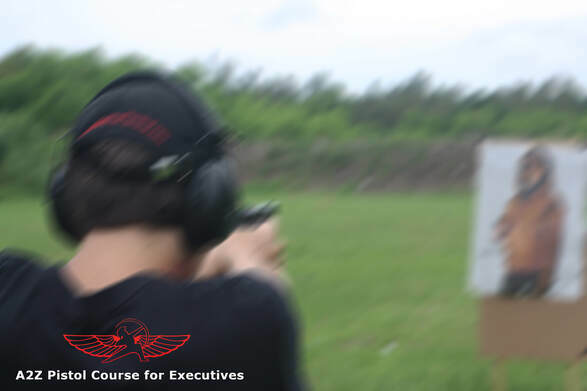 This course is intended for executives and professionals who cannot attend a 2-3 day course because of their work, but still want to know how to properly use a firearm for defensive purposes. This is a modular course that follows the following format: two 3 hour sesisons during the week (explanations, dry practice, drills) and then a live fire session during a Sunday at the range. It is called the A2Z pistol course because it covers a wide range of topics divided into modules - including: basic pistol course, personal protection basics (inside and outside the home), introduction to combat tactics, CQB, low-light and force on force scenarios. This course is a 'by referral only' course and is not public. Please answer the questions below so we know who you are and who recommended you. The course has limited capacity. First come, first served. After you have filled the form on your left and signed the online waiver above, please ​click here to go back to the previous page and pay in advance using the relevant BUY NOW button. Make sure you have filled and submitted the form, completed the online waiver and paid online using our BUY NOW buttons. These are all required for the application. We will review your application and respond within 24 hours. If for some reason you are not approved, your funds will be returned. Last but not least, THANK YOU for trusting us with this important course. We look forward to seeing you in class. • Suicide Bomber in NYC?